The hipster neighborhood of Williamsburg, Brooklyn, has grown into a neighborhood of families, with grandparents staying at new hotels and some of the best brunches catering to Sunday morning crowds. Here’s where to find the kid friendly restaurants. Going out to brunch can be a way to introduce your kids to restaurants. Instead of dinner, where you get the hairy eyeball from strangers, you can eat at a less stressful time. The kids aren’t exhausted from a long day, and the other diners aren’t expecting culinary masterpieces. But a kid friendly restaurants that both embraces children AND offers some of the best brunch food around? That is rare indeed. And to find it in Brooklyn makes it even more appealing. Yes, much of Brooklyn is child-friendly. 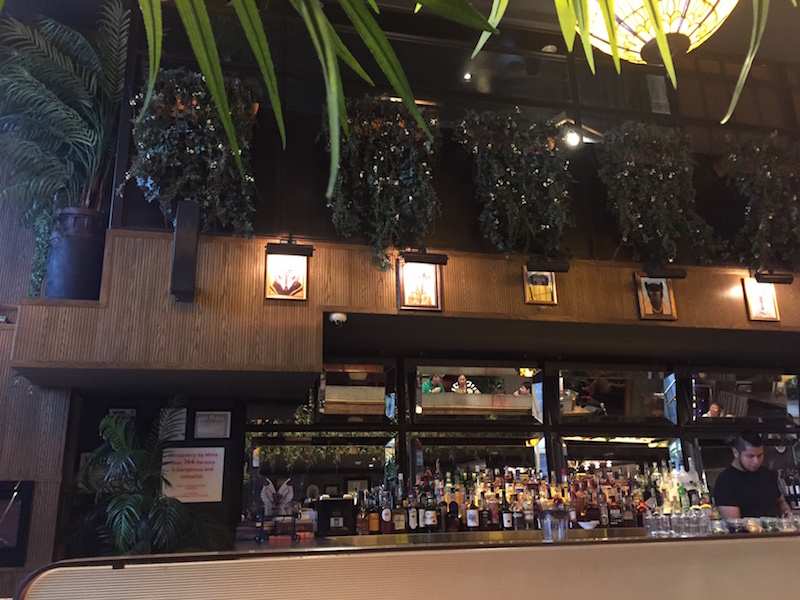 But Oleanders, in the McCarren Hotel & Pool, is the ultimate in child and baby friendly dining. 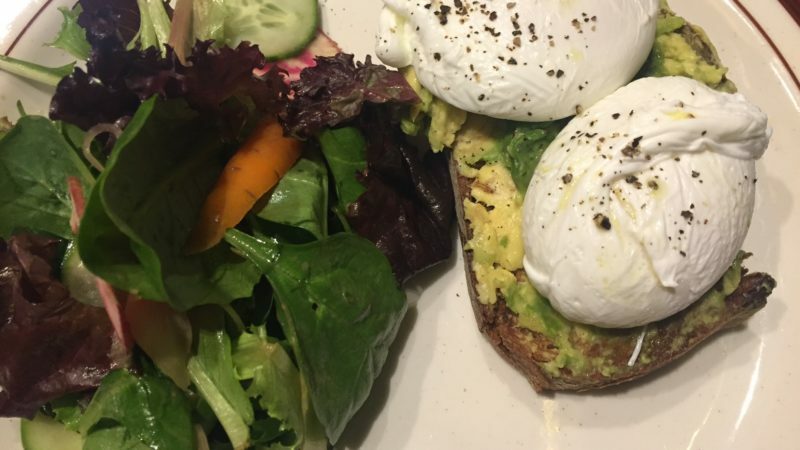 The recently launched “Babies Who Brunch” has an extremely reasonably priced adult menu. 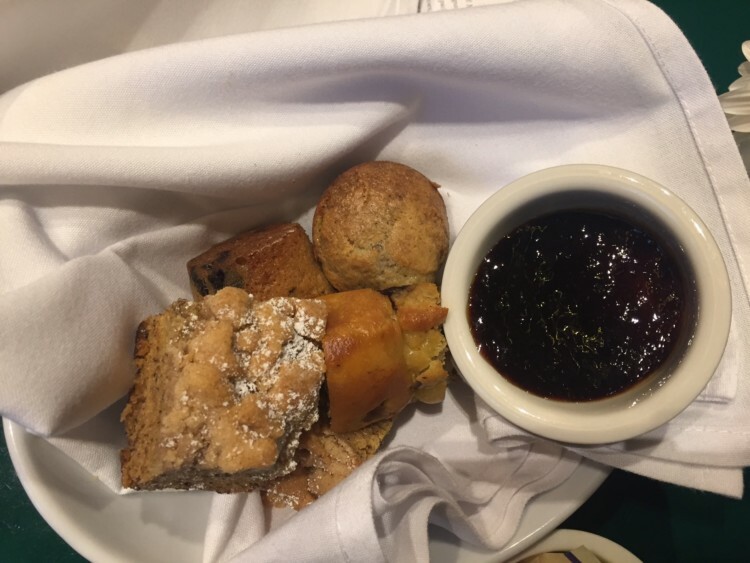 In fall of 2016, it was just $24.95, for a basket of mini pastries, unlimited brunch cocktails for 90 minutes and an entree. Even better, children under 6 eat free from a special kids’ menu. 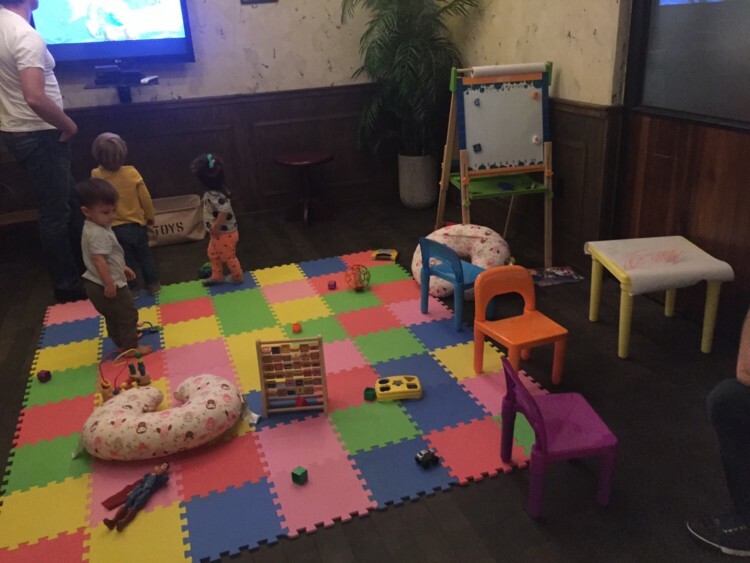 Kids have access to a playroom (converted each week from the private dining room) stocked with toys and organic snacks; there are juice boxes and baby food pouches (and hand sanitizer). Plus, room to roam. There’s a changing table set up in the conference room by the bathroom. Servers will happily store your stroller, or you can bring it to the table. Compare this to a popular brunch spot on the Upper West Side that doesn’t even allow strollers into the restaurant. This was all created by two dads: Executive Chef Kevin Chojnowski and Beverage Manager Francis Verrall. 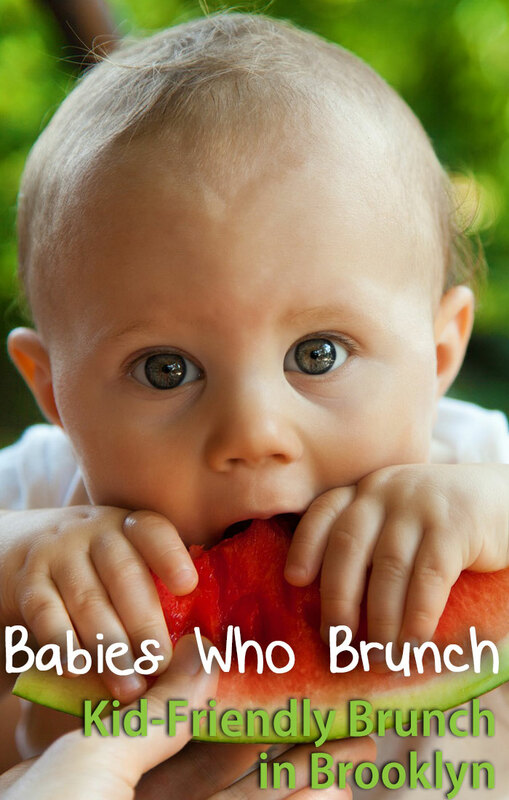 The “Babies Who Brunch” runs on Sundays, from 10am – 3pm. Entrees include a couple of vegetarian choices: avocado toast, wild mushroom and goat cheese omelet and ricotta pancakes. My husband and I shared the first two and even without the promised heirloom tomato on the avocado toast, we were happy with our choices. 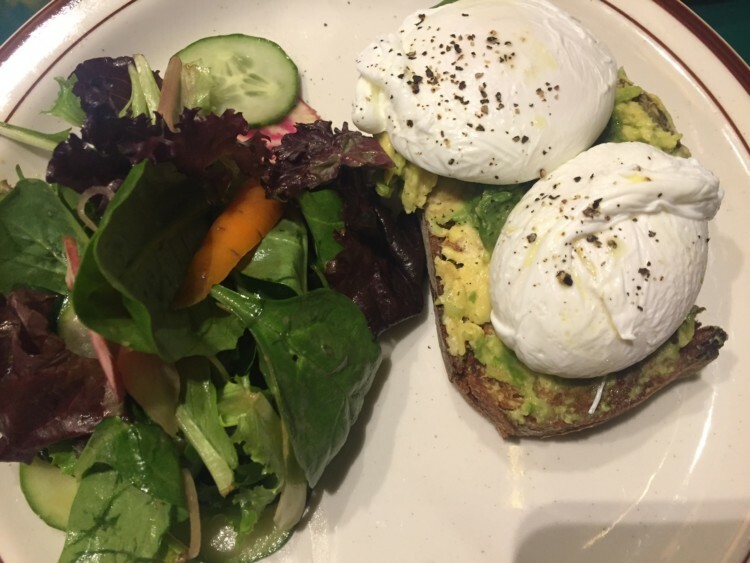 The avocado toast comes with a thick slab of sourdough, and two perfectly poached eggs, with a “simple salad” on the side; greens and a couple of thinly shaved vegetables in a light vinaigrette. 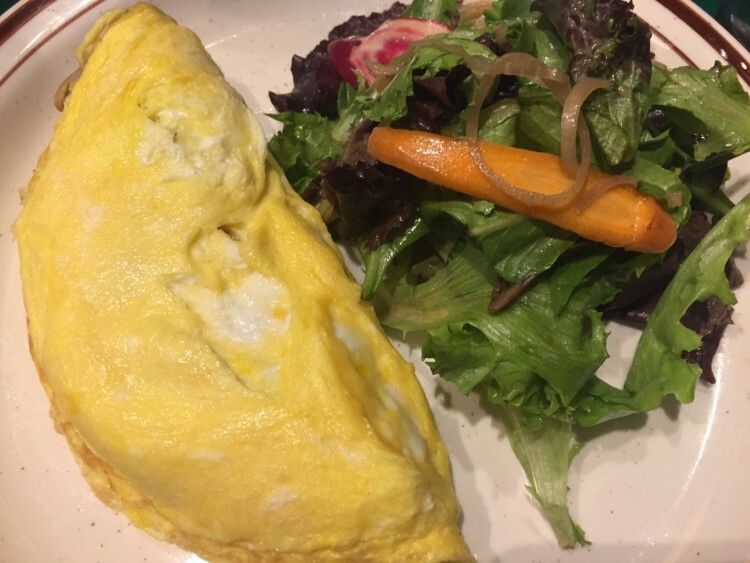 The omelet had the right proportion of filling to egg and was cooked properly. It also came with a salad – much healthier than home fries. We had to forgo the Bloody Mary, which can be had with vodka, gin, tequila or bourbon. Our Sunday plans included staying upright for the rest of the day, and day cocktails tend to waylay that. But we saw others happily imbibing those, along with mimosas and bellinis. Although avocado toast is not that complicated a recipe, the Oleanders version is served with a salad that has homemade pickles and dressing. That requires forethought of a ripe avocado, plus a good bread and a few key ingredients that you may not have on hand. How nice, then to just sit down and have the entire dish served to you, especially while the kids entertain themselves in the playroom. 1. Combine the vinegar, salt, garlic and Dijon in a blender and blend until smooth. On low speed, slowly drizzle the oil into the blender, emulsifying the oil into the mixture in the blender, scraping down the sides with a rubber spatula as you go along. 1. Toast the two slices of sourdough until they are a deep golden color. Cut the avocado in half, removing and discarding the pit. With a spoon, scoop out ½ of the avocado onto each piece of toast. With the backside of the spoon, coarsely mash the avocado onto the toast, leaving the avocado chunky. Drizzle the avocado with evoo, and season with a sprinkle of Maldon salt and a crack of black pepper. 2. In a simmering pot of water, (seasoned with salt and white vinegar), crack the eggs into the pot and let sit until they are soft poached – the whites should be set, yet the inside still soft. Remove the eggs, (one at a time); with a slotted spoon and place two eggs on each piece of avocado toast. Drizzle evoo on top of the eggs and sprinkle with Maldon salt. 3. Slice two ½“ slices of heirloom tomato and season with Maldon salt and drizzle with evoo. 4. In a mixing bowl, combine the Mesclun, cucumber, radish and pickles. Lightly dress the greens with the balsamic dressing along with a small pinch of salt. 5. To present: place the avocado toast on a plate. Place the heirloom tomato and salad alongside the toast and enjoy! Note: We were guests of Oleanders at this kid friendly brunch; enjoyment and opinions are all my own. Previous Post: « The Credit Card Chip: How Does It keep Travelers Safer?